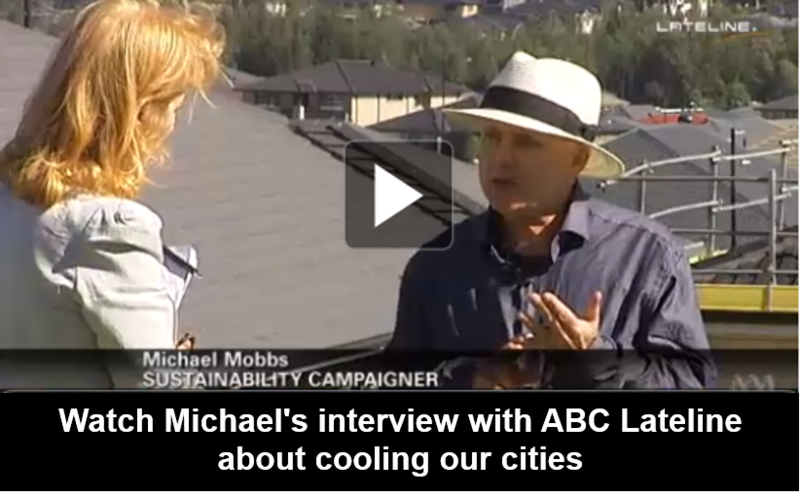 Why Does Street Coolers want to cool Australian cities by 2020? What Will Happen by 2050 if we don't do anything about excess Urban Heat? The research has been done to show that increasing tree and vegetation cover in cities lowers surface and air temperatures by providing shade and cooling through evapo-transpiration; we can think of trees as nature's air-conditioning units, and they also help retain warmth in winter. Street Coolers has developed pop-up gardens called coPOPs in addition to Street Gardens to harvest city water for trees in urban areas, giving trees the nutrients they need to enhance growth. Urban streets make up a quarter to a third of a city's surface area, yet they are made from asphalt which is predominantly black, absorbing heat from the sun. These roads can heat road surfaces up to 60 degrees creating heat pockets during the day up to eight degrees hotter than the ambient air temperature.Street Coolers is collecting data that helps us understand how lightening the colour of pavement can result in lower ambient temperatures. Light-coloured roads can also lead to lower energy costs in nearby buildings and support the growth of trees by reducing nearby soil temperature around tree trunks and the evaporation of water that trees require. Going off-grid reduces our reliance on non-renewable forms of energy and, based on our estimates, can save 0.8 Tonnes of Carbon per household per year and the equivalent of planting 27 trees. Solar Panels can be used for cooling both the street and the road via cooling, and can save hundreds of dollars in energy bills per year. Go off-grid and on-heart! Street Coolers is developing our idea for shared Local Power Stations to take various sites across Sydney off-grid. Contact us for information or consulting services. Our goal is to bring sustainable thinking into the social consciousness of Australia, and encourage the development of cool city and suburban blocks that link up to form cooler and more liveable cities that simultaneously reduces overall energy consumption. This is the essence of the Street Coolers mission.